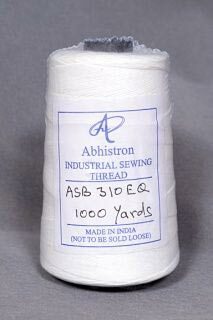 Buyers can consider our name for acquiring qualitative Spun Polyester Bag Closing Threads (ASB 310 EQ V) at cost effective prices. Our threads are suitable for Portable Bag Closing Machine and other stitching needs of the Industry. Buyers can get them in retail or bulk, from us.